Getting rid of pests such as insects and spiders once meant using harsh chemicals to alleviate the problem. 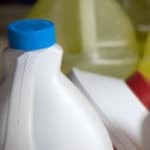 The pests may have been eliminated but the residue left by the chemicals could be inhaled and linger in the lungs of humans and pets posing a laundry list of health related issues. In addition, damage to the environment could last for centuries. Green pest management’s time has come and is welcomed by those who understand the damage chemicals can cause to people and the environment. Today there are a variety of green pest solutions that an exterminator can use which are not poisonous or hazardous. 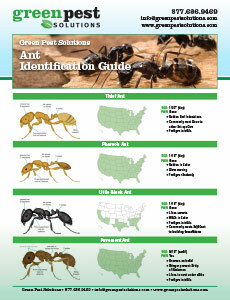 Green pest solutions means using non-toxic methods to exterminate pests such as ants, cockroaches and mice. When looking for a green pest management company to eliminate pest infestations, hiring one that shares and understands the client’s concerns about health and the environment is the first consideration. The company chosen by the consumer should have proof of certification showing it is using environmentally responsible methods to eliminate pests. There are organizations that issue green certifications showing that the pest control company is providing an environmentally green and effective service. The customer should expect to find standards that meet environmentally responsible criteria. Some of the standards included are that all personnel, including service technicians, salespeople, and managers must be trained and tested for the company to be certified. Others may include an evaluation of business operations, making sure that there are criminal background checks, reference checks, and drug screening before receiving certification. An experienced green pest exterminator can help the property owner understand what attracts the pests in the first place and how to take the first steps to eliminate attractions such as food, garbage and water. Some simple solutions for these are making sure food and garbage are in sealed containers and leaky pipes are repaired promptly. An often overlooked issue is pet bowls with remnants of food. These should be washed out immediately after use to avoid attracting any unwanted guests. Most pest control companies eradicate the source of the problems that are creating a haven for the pests and if repairs are necessary, either provide that service themselves or recommend a company that is also environmentally oriented. 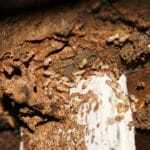 Services provided that go beyond just eliminating the pests are sometimes called integrated pest solutions management. The property owner may expect an inspection of the property that has been infected with pests and also after the green solution has been applied to make sure it was effective. 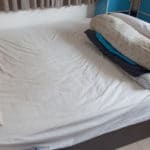 It may be suggested that the source of where or what is attracting pests should be eliminated or repaired beforehand to prevent further infestations after treatment has been done. There may be times when an environmentally approved method of eliminating pests does not work and the seriousness and scope of the problem may call for the use of a pesticide. The chemical chosen will be one that has the least risk to the environment, people or pets. 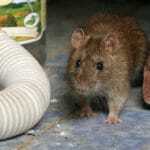 The pest technician should always discuss this option with the property owner and receive consent to use that product instead of a certified green pest solution.